In search of the lush, autumn Motherwort leaves I spent a recent morning at Hidden Falls. 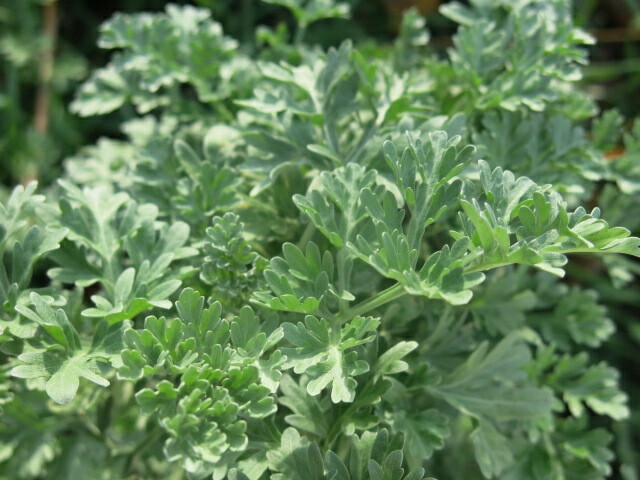 The non-native mints like Motherwort, Ground Ivy and Catnip are flush with gorgeous big green leaves in the fall. 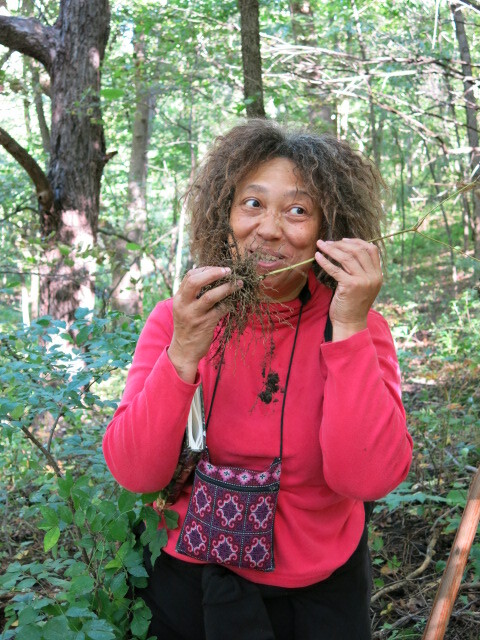 This is the perfect time for the herbalist to go out foraging. Many other non-natives like the patches of Celandine, Sweet Melilot, Dandelions and Plantain persist into the deep fall, requiring a hard frost or two to put them to sleep. Many native plants have already responded to a seasonal lullaby, that has little to do with the actual temperature, but not the naturalized plants. It has always been interesting to me, the way the non-natives have a growing season that begins earlier and ends later than the indigenous plants. I wonder what that’s about. In any case, I count my blessings and take this second chance to make medicines I was unable to gather in the busy, busy spring. 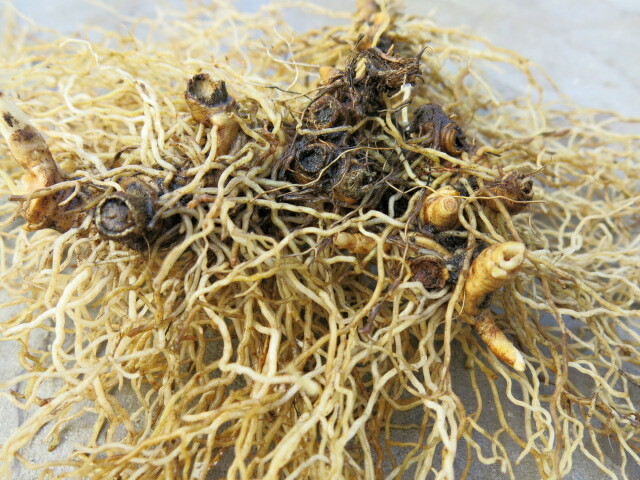 Blue Cohosh roots (Caulophyllum thalictroides) harvested in Goodhue County, Minnesota. Notice each spot where a stalk has once grown from, some quite aged, others younger. The Poison Ivy and Sumac are brilliant scarlet. The first year Mullein leaves on a sunny hillside glisten with a frosty heavy dew. I saw a patch of ferny wild asparagus and some lovely looking Artemisa. The Blue Jays were darting and calling and on one Cottonwood there were four little Woodpeckers at work. I love to walk in a glade of Cottonwoods, one of my favorite trees. The Grapes and Wild Cucumbers and Carrion Flower lie in repose across whole swaths of the flood plain, covering other sturdier plants, shrubs, stumps and rocks. They create an eerie, gothic looking space where you wouldn’t be surprised to see a haunted house, or an derelict mansionwhere the witchy old lady lives situated right there among the vines. I saw a group of people with vans from some wilderness organizations unloading canoes from trailers. It is an ideal day to spend outside. Wilderness, outdoor adventures are somewhat foreign to me. I don’t have a lot of experience as adventurer in the landscape. The equipment is expensive. The technical know-how required to take up different outdoor recreation is certainly impressive. At the moment, however, I feel glad for my easy, on-foot, intimacy with my local landscape. I simply throw on a dirty pair of sneakers and one tote bag and into the woods I go, to gather plants, plants whose names and face I know, whose lifecycle is familiar to me. I know which ones the birds and butterflies like to visit. I know the ones whose fruits are good for the birds and the humans and which ones will make you sick. I know which among the plants have been here for centuries and which are recent arrivals. I know the ones that like their feet wet, the ones who lurk in the shadows and the ones who need to lift their faces to the sun. I like this tiny, up close and personal yet deep relationship. I don’t move through the landscape to seek out the awesome, but to bend down and get close. Then I will use them. 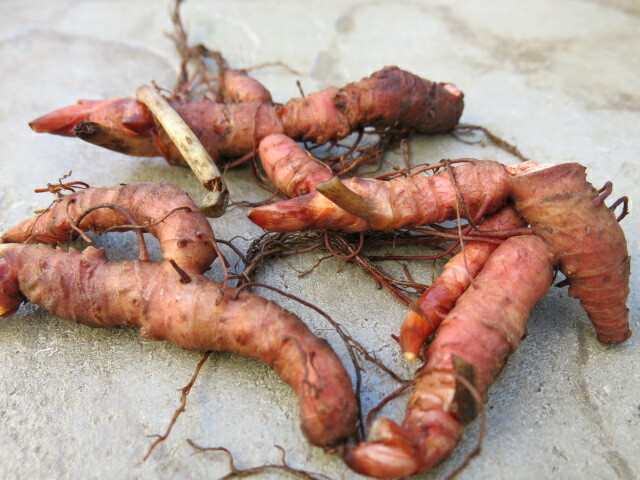 I iwll harvest them, process them, consume them, give them to others. 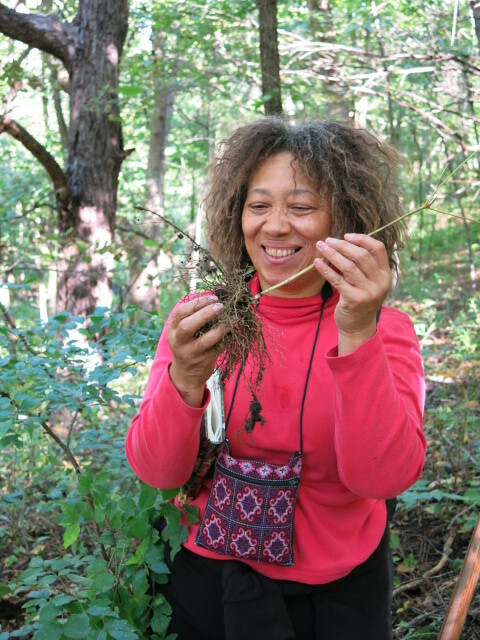 It’s an ancient practice of foraging and making medicine from the plants among us. I relish this connection. Autumn for the herbalist is a busy time. 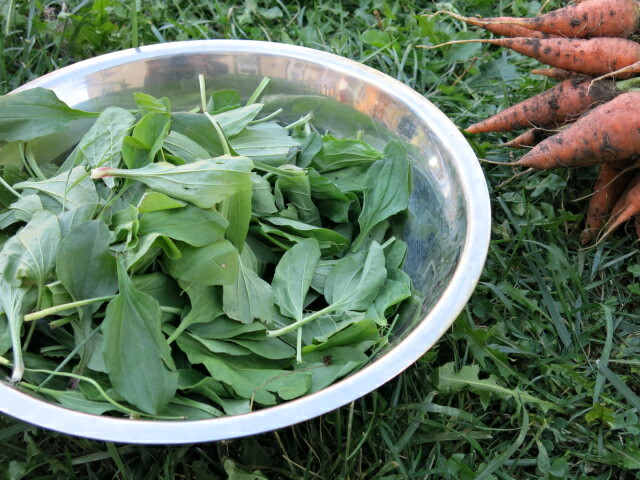 It’s the last push before winter to forages, harvest, preserve, make and store medicines for the winter. It’s the end of our herbal year. 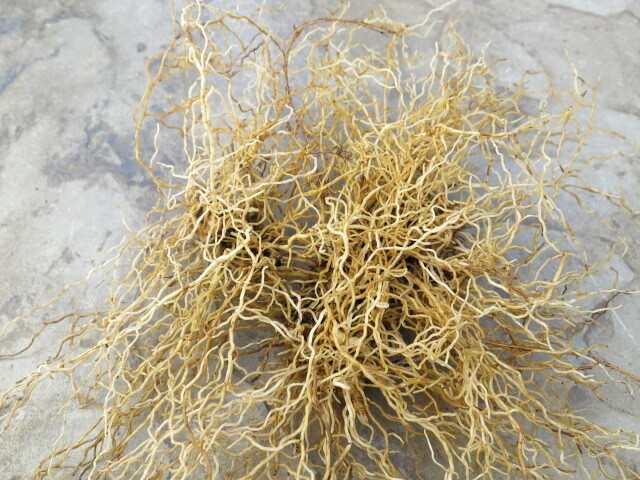 It’s a time to dig roots, to have your second chance to harvest some leafy material. 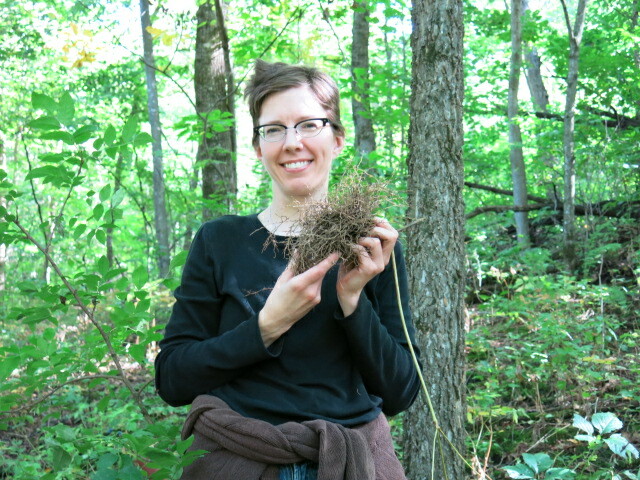 I have walked with my students in the ravine meeting and harvesting the roots of the deep woods plants, Bloodroot, Wild Ginger, Blue Cohosh and False Solomon’s Seal. My students and I have picked Hawthorn berries by bucketful. 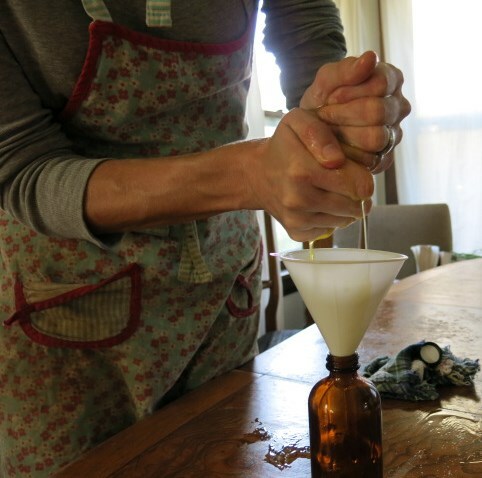 I have made medicines from the plants that grow just steps beyond my back door like Plantain, Lemon Balm, Calendula and Motherwort. The Rosemary and Basil await me in the garden to harvest at my leisure. Dandelions still need to be dug. I think I need the medicine from a stately Valerian that is three years old, but I am loathe to dig it up and weigh my desire for medicine against my appreciation of this plant just as and where it is. Then we rest a bit, perhaps read and study a bit before February or March when the sap runs and the cycle begins again. Decanting Lemon Balm infused oil. A lot of Plantain from the yard, harvested by my young helper. 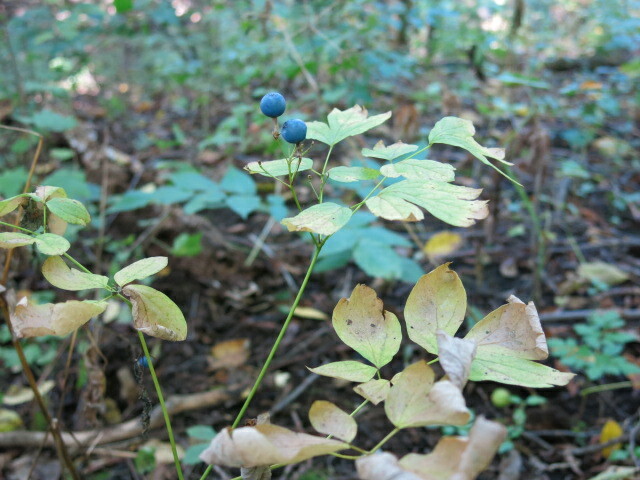 Blue Cohosh is delightful to behold. 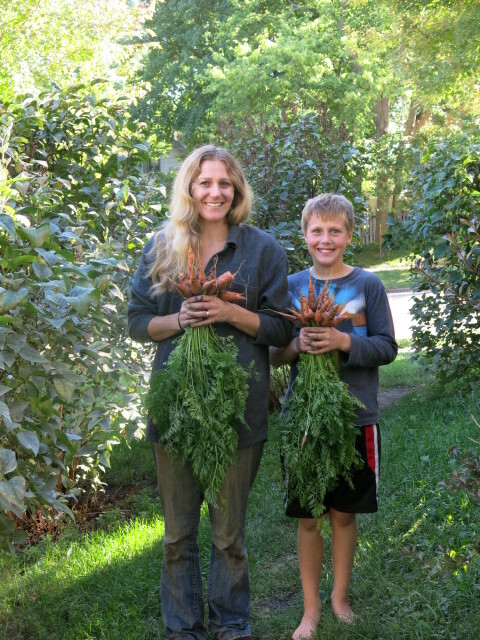 Henry and me and our carrots bouquets. My son is a good helper in the field, forest and garden.